Dream is the local name of CRISAM's service for supporting experiments & development, aka. SED. Our service is composed of research engineers providing support for development, experiments and the management of experimental platforms. The team keeps up on technological advances. This website is mainly used to provide blog posts about our activity. For institutional information, please visit the appropriate section on the Inria intranet. 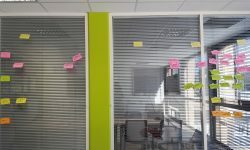 To add a RSS feed to our blogposts, please click on the following link: https://iww.inria.fr/sed-sophia/feed. To contact us, please send email to sed-sophia@inria.fr.